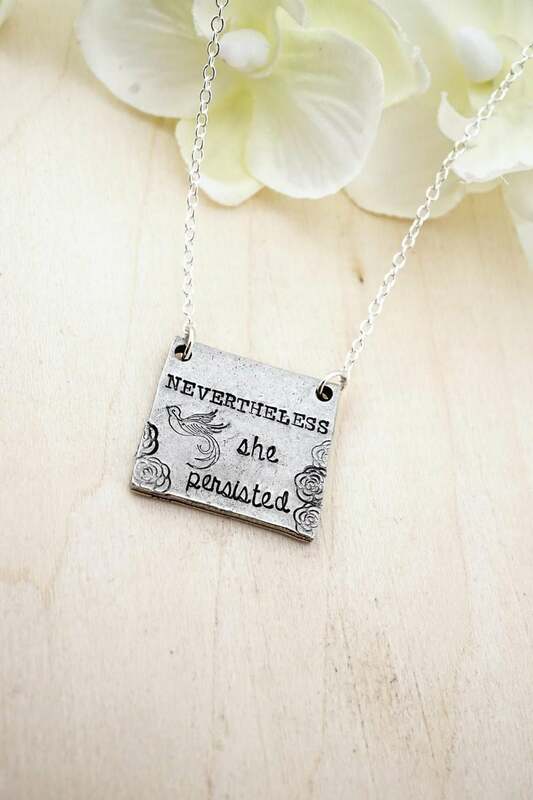 This beautiful inspirational necklace reads "nevertheless, she persisted". It is accented by a stunning bird in flight, along with roses as accents! This piece is made from lead free, artisan pewter that was cast right here in the USA. It was then hand stamped with this phrase! The square pewter disc measure approximately 1 inch by 1 inch and the chain is 18" in length. 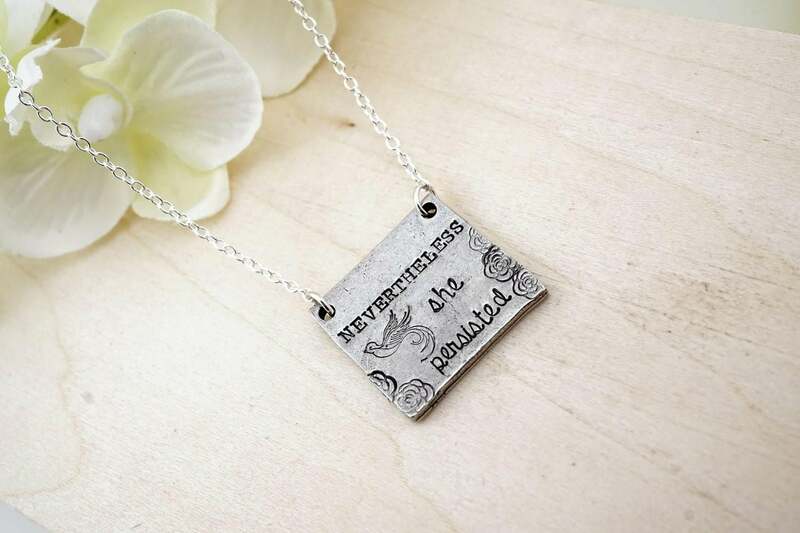 As with all hand stamped jewelry, each piece is made just for you, stamped by hand one letter at a time, so there may be slight variances in letters and/or number spacing. This is not to be seen as a defect, but as part of the unique character of the piece. Thank you for your understanding.